Q: I am having a hard time juggling multiple medications. Can you give me tips on how best to deal with this problem? 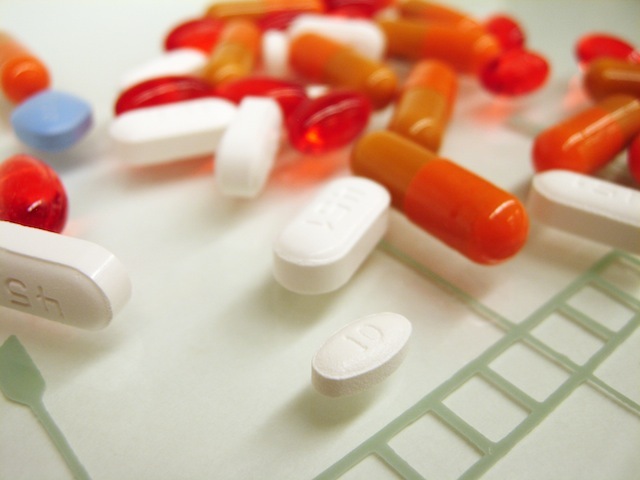 Multiple medications are common among the elderly as they tend to have more medical conditions. According to a 2012 study done by the Pharmaceutical Society of Singapore (PSS) and the Agency for Integrated Care (AIC) on a VWO-run nursing home in Singapore, residents were on an average on 7.5 drugs each. 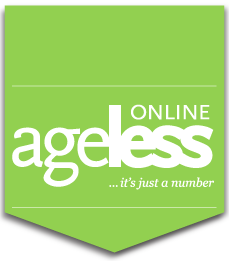 • Try to get medications from the same clinic, hospital or pharmacy so that the records are easily accessible. • When seeing a doctor, dentist or pharmacist, especially for the first time, show them a list of medications that you are taking. Be sure to include supplements in the list as they can interact with certain medications. • Consider using a pill box to organise your medication. There are weekly as well as monthly pill boxes; find the one that suits you the best. 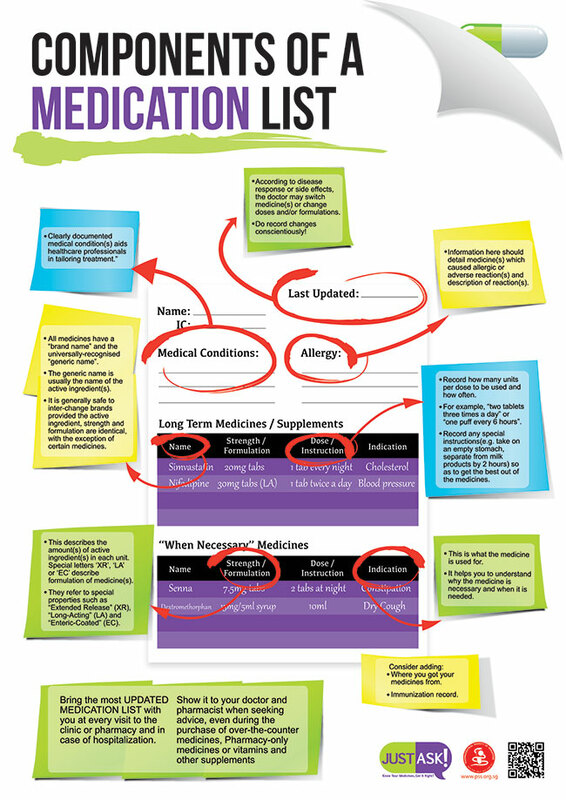 • Keep a well-maintained and updated medication list (right), which could reduce duplication of medication. Make sure you are aware which medications are to be taken daily, and which ones are to be taken on an as-needed basis (to avoid taking medication when not needed, e.g. painkillers). If you have a problem with so many pills my solution might help. I cannot take most pills, pain pills, anti-inflamatory pillls, blood pressure so I try to take natural herbs, eat foods that will help and tumeric plus cinnamon to keep pain under control. That will cut down on prescribed medication. I only take one pill, synthroid. Ask your doctor to prescribe natural foods. Thanks, Sunie, for your comments.